It might feel like there are some things outside of your control as a web designer or developer. Like web hosting. But what if you had a say in it? Would you know how to best advise your clients on making the right choice for the future of their website? 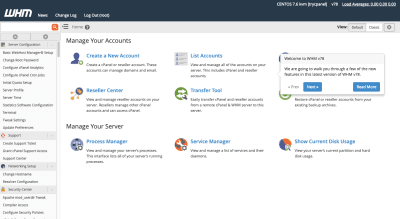 Today, we’re going to explore Plesk VPS hosting as an option. I get why they’d think that way. For starters, they’re paying you a large sum of money to design the site. Of course, they’re going to look to other areas to offset those costs. Because server technology is rarely understood by the people who own websites, it’s easy for them to mistakenly think they can save money there. As a website grows in authority and expands its reach, security and performance problems will arise if the hosting configuration isn’t prepared to handle it. In the following article, I’m going to show you why clients need the power of VPS hosting behind the websites you design for them. 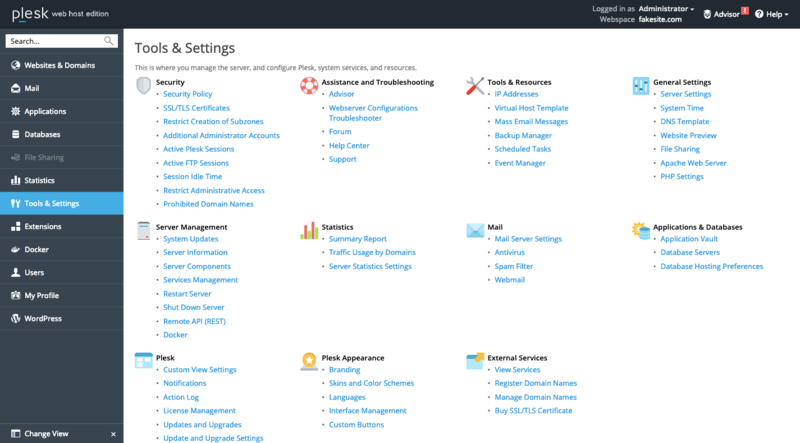 And why you — the administrator — need a tool like the Plesk control panel to manage it. In many cases, people get stuck being the go-to person for one highly specialized task at the companies they work for. This person handles the marketing. This person manages inventory. This person coordinates client meetings. One of the things I love about working with websites is that there are so many new things to learn about and other areas to branch out to. If you don’t want to be relegated to building website after website, day in and day out, there are ways to expand your offering and become the total end-to-end solution provider for clients. In my opinion, web hosting is one of the areas you should look to for expansion. Now, I’m not saying you should become a reseller of hosting or anything like that. All I mean is that it would be beneficial to understand how the technology behind a website affects the outcomes of what you’ve built. An underpowered hosting plan fails to handle influxes of traffic, which leads to slower page speeds and a drop in conversion rates. Occasional downtime on the website leaves visitors wondering if it’s even worth going to the site if its availability is unreliable. There’s a high demand for the inventory sold on the site, but potential customers are too nervous to pull the trigger since security seems to be non-existent. Even if you’re not the one responsible for the server technology your client’s site sits on, you can see how this sort of thing could have a negative effect on your business. You build an amazing website that aims to do exactly what your client wanted, but the server technology is holding it back. Who do you think the client is going to blame in that case? Rather than let it get that far, I’d suggest you engage your clients early on in conversations about their web hosting. As we move on, I’m going to present you with specific arguments you should be prepared to make regarding the hosting as well as how it’s managed. Who Should You Entrust Your Website To? There are thousands of web hosting companies to choose from. But in terms of reliability? That list could easily be narrowed down to less than a hundred. HostGator has been a web hosting company I’ve recommended to clients for years, especially ones who need a powerful hosting solution like Plesk VPS hosting. If your client doesn’t have a strong preference of provider, start here. What Type Of Web Hosting Will Serve Your Website And Audience Best? This is the cheapest form of hosting available and probably the one your clients will be most inclined to purchase. The hosting provider designates a section of a web server to a number of clients who will then share the resources. This means there are strict limitations set on how much bandwidth and storage a website can use, but very little you can do to control any of it — especially if another website in the shared server space hogs the resources. It’s this last point that’s especially problematic on shared hosting. Although your hosting plan might indicate you get X amount of memory, it’s actually a cap on how much you might have access to if no one else is using resources from the server at the same time. In reality, it’s very likely you’ll run into lack of memory errors due to this limitation quite frequently. Shared hosting is fine for small, personal blogs or private websites. Not for serious businesses. This is similar to shared hosting except that it’s more secure and stable. Rather than relegate a website to one specific segment of a web server, the site is hosted across a number of servers. That way, if one server experiences an outage or another website compromises the performance of others around it, your website can safely be hosted elsewhere. That said, there are still a number of limitations that come from cloud hosting. If your website is for a growing business, but you don’t expect a lot of traffic to it (say, if it were a simple portfolio), cloud hosting would be a good choice. This is the most robust form of web hosting, which also makes it the most expensive. As the name indicates, your hosting company will lease you an entire server to host your website. So, think of this like shared hosting, but on steroids. As you can imagine, when you have your own server environment, it greatly reduces the risk of anyone else compromising the performance of your website. That said, there is a lot more work involved in managed a dedicated hosting account and the website on it. This is really only best for large enterprises, social networks, e-commerce sites and others that require this type of extreme web hosting. This stands for “virtual private server”. The name alone should give you a good idea of how this differs from the other kinds of hosting already mentioned. In sum, a virtual private server is like a scaled-back version of dedicated hosting. Instead of having an entire server to yourself, the web hosting company carves out a dedicated portion of the server and personalizes its settings for you. Although you share the server with other VPS clients, you don’t share the resources with anyone else. You get exactly what you pay for. It’s faster and more secure than shared or cloud hosting. It’s cheaper than dedicated hosting. 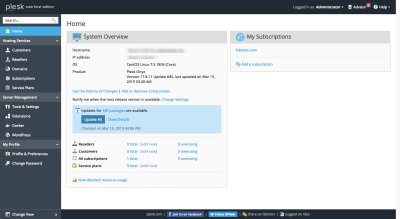 It’s custom-tailored to your needs, but still allows you to take more control over your server configuration. Bottom line: VPS is an overall better hosting solution for growing businesses. How Will You Manage Your Web Hosting Account? There’s one more question you have to ask yourself before you commit to a new hosting provider and plan. Because VPS hosting is more complex and requires a greater degree of management than a set-it-and-forget-it type of hosting like shared or cloud, you need a control panel you can rely on. 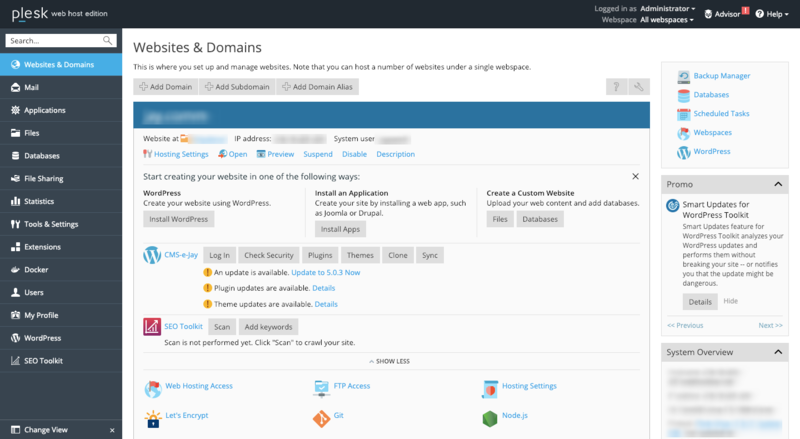 So, let’s explore the Plesk panel and take a look at what you can do to maximize the management of your new website with it. It won’t take long to realize that Plesk is not like other control panel solutions. The website will help clarify some of this for you, but I’d like to give you an inside look at the control panel so you can see for yourself. In all honesty, I don’t know how much time your clients will spend inside the control panel. When I’ve managed and built websites for clients in the past, just asking for login credentials to their hosting account tended to be a real chore. 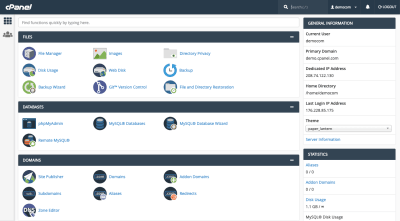 Regardless of whether they want or know what to do with a control panel, Plesk provides a user-friendly experience regardless of who the user is as well as their level of comfort with website management. I’ll show you why in this next example. 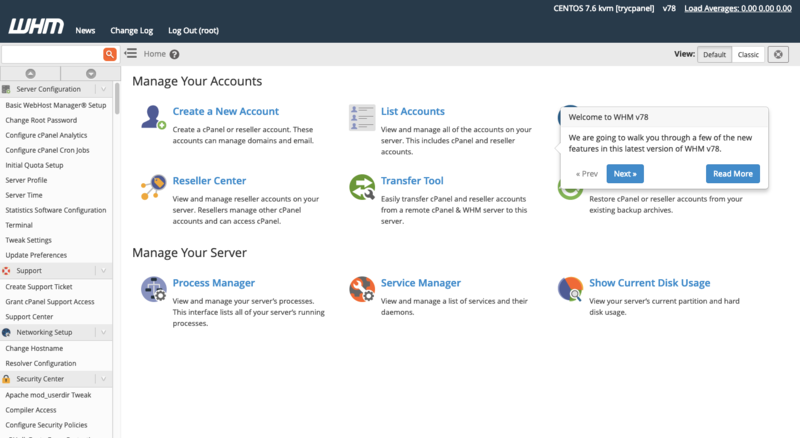 If you’ve ever tried to use cPanel to manage hosting and domain services, you know how overwhelming it can be to use. There’s a navigation and sub-navigation bar at the top, which makes management options seem simple enough. Then, you’re presented with individual actions you can take to manage hosting, your website or email accounts within the control panel itself. This is just too much — even for technically-minded clients who know what the heck they’re looking for. This is insanely well-organized and clearly labeled. If your clients or other novice users were to step inside of Plesk, they’d instantly know where to go as well as which actions they could possibly take from the sidebar alone. This is what the Tools & Settings page looks like. As you can see, it’s not bogged down by a barrage of icons for each setting. Instead, it presents options in a succinct and well-organized manner, which will greatly reduce friction that might otherwise exist in a tool of this nature. It looks a lot like the power user view, except you can see that the sidebar is broken up into different modules. What I like about this is that it encourages developers to manage more of their business from one tool instead of a variety of business management tools. 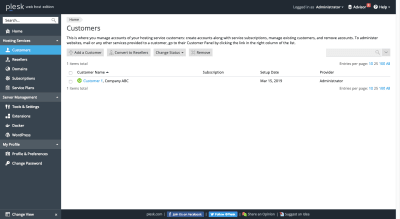 Add new customer accounts and manage them from one dashboard. 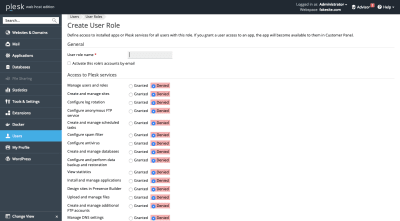 Customize what they do and see in their “power user” view of Plesk. This helps keep server and website management under control. Create hosting plans that you can, in turn, sell to customers as subscriptions. Move non-Plesk customers over to Plesk with a simple-to-use migration tool. 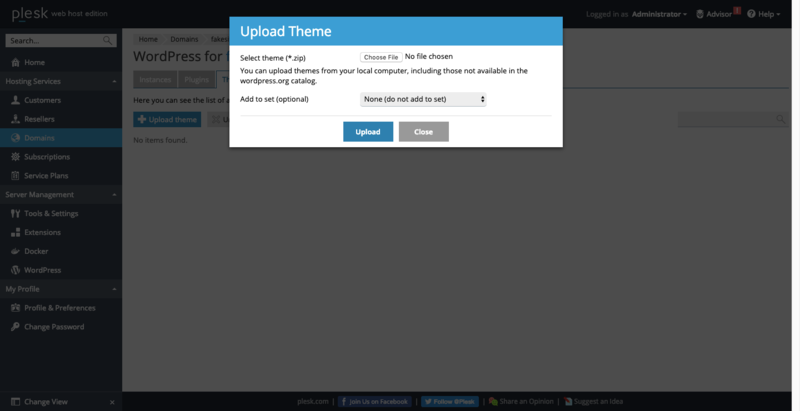 Manage things like plugins, themes and more if you build websites with WordPress. If you’ve ever been frustrated with the management piece of your business or felt that your ability to control things was lacking, Plesk is the solution. Plus, you can use Plesk extensions to really open this tool up. Add business management features like invoicing and site-builder tools to improve your offering, streamline your workflow and make more money. Last but not least, you can white label it with your branding. That way, when clients step inside, they’re reminded that they have a trusted website pro like you to properly manage their server and website. Another developer-friendly feature of Plesk is its flexibility. But you and I know it’s not that simple. For starters, there’s your level of comfort in using the command line. For some developers, that level of comfort is low, so having a flexible solution like Plesk that removes the need for programming is great. That said, you can still use the CLI if you prefer. 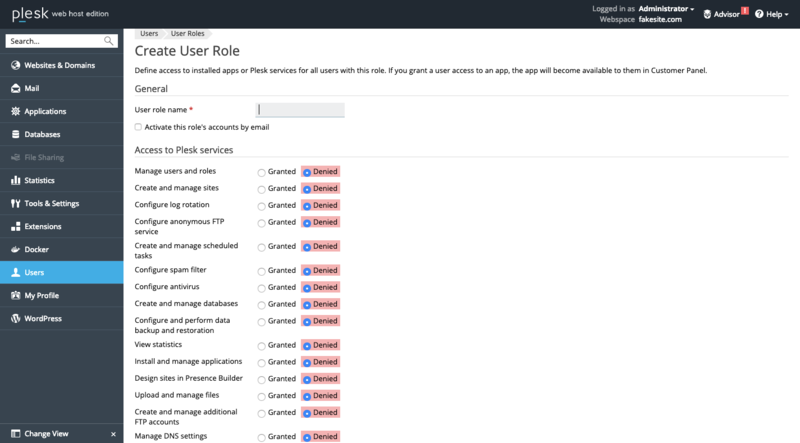 Plesk provides you with full root access, so you won’t have to worry about being restricted to the control panel’s settings to manage your VPS server either. Like I said, it’s flexible. It allows you to work as you want to work. Ruby on Rails vs. Node.js. 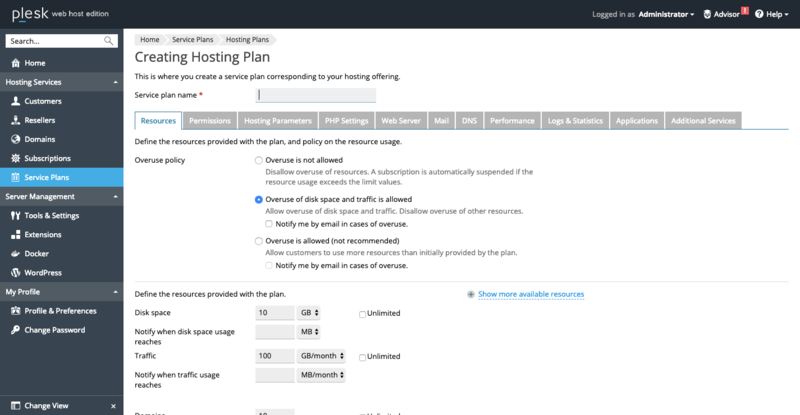 Whatever you choose, settings are available to deeply customize and configure each so that the VPS hosting plan works exactly as you need it to. It’s your hope that when you build a website for a client, it doesn’t go to waste. You design powerful website experiences so that clients can effectively leverage their web presences to drum up new business and increase conversions. Sadly, something like a poor choice of web hosting can compromise all of that planning and hard work on your part. Unless you’re in the habit of designing websites for very small businesses or nonprofits, Plesk VPS Hosting is the logical choice. Not only is it a great solution in terms of easing your administration and management responsibilities, but it’s also an amazing tool for building your design business. 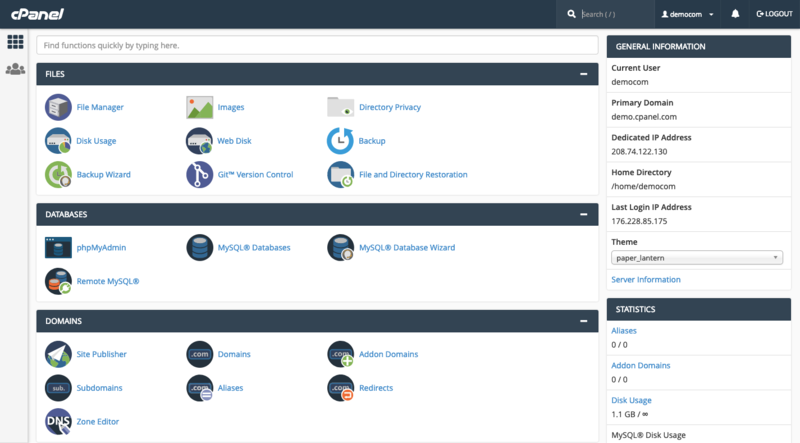 If you’re interested in using Plesk VPS hosting, I’d suggest you start by looking at HostGator. In addition to being one of the leading hosting companies around the world, there is a 45-day Money-Back Guarantee available which may help you encourage your clients to give it a try.